India-Pakistan: With NSA Talks Aborted, What Next? Referring to a “whole history of unproductive dialogues with Pakistan,” Kanwal Sibal, a former Indian foreign secretary, reflects negatively on whether a “more resolute government as that of Modi (should) get into the rut of sterile dialogues with Pakistan.” Sibal need not worry. Talks between the two countries’ respective national security advisers were aborted just a day prior to their scheduled start. The talks were first mooted in the joint press statement of the two foreign secretaries at the Ufa meeting of the Indian and Pakistani prime ministers. The two NSAs were to meet in Delhi, potentially clearing the way for the Indian prime minister to travel to Pakistan for the SAARC summit next year. That the naysayers on both sides managed to scuttle the talks underscores their hold over their respective security establishments. This mirroring is unlikely to go away any time soon. This answers the question “Why were the talks called off?” The more important question remains: “What next?” It is here that Kanwal Sibal’s policy recommendation comes to fore. With the talks called off, this is the only option India is left with. For that reason, it bears scrutiny. The problem with Kanwal’s thesis – and he speaks for India’s Pakistan skeptics – is that it is without an end date or exit strategy. Even had the exploratory talks at NSA level gone on to reopen the dialogue, India would have developed the levers to modulate Pakistan’s conduct. This would have been done both as a measure to keep up the pressure on Pakistan to stick to the table, as well as an insurance should the talks have failed to moderate Pakistan. These levers are military, intelligence and diplomatic. Militarily, India has been at it, ramping up its defense budget. A statistic from Modi’s first year in office was that India fast tracked 40 defense projects worth over Rs. 1 trillion ($15.1 billion), intended in part to increase the gap in conventional armaments with Pakistan’s army. Over the past year, it has given the army liberty to give a “befitting reply” to provocations along the Line of Control and International Border. Pakistan has over the last month made two references to the firing along what it considers the “working border” to the UNMOGIP, the UN mission overseeing the ceasefire since 1949. Both countries have used embassy channels to record their displeasure at the other side’s aggressive firing. Diplomatically, the visits of Obama and Jiang Zemin to New Delhi, though intended by India to suitably isolate Pakistan over the latter’s support for terrorism, can only have limited effect. Pakistan’s strategic location buttresses its indispensability to the eventual outcome in Afghanistan. Pakistan is looking to play the Russian card if necessary. The call in India will be more of the same and for longer. But this is not without underside. Militarily, the “two front” problem has already kicked in, with reports of India diluting its Mountain Strike Corps due to lack of finances. Doctrinally, there is dissonance. 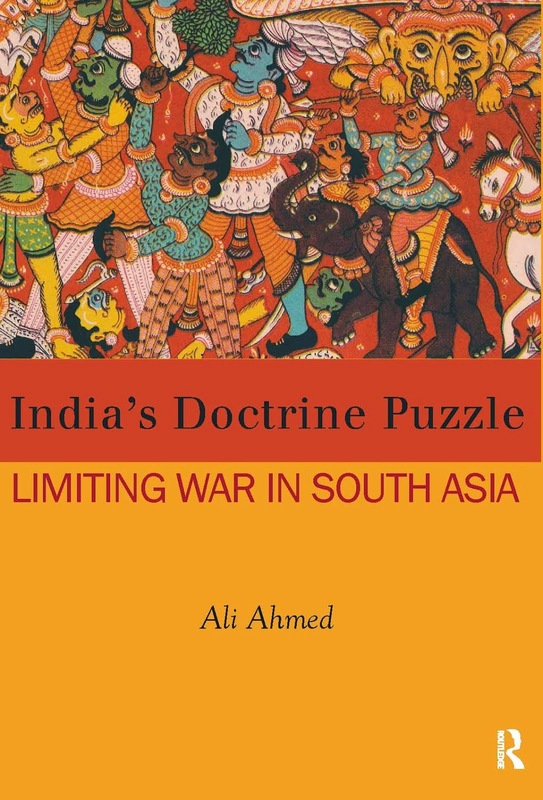 While at the conventional level India intends to be on the offensive, its nuclear doctrine has not been able to come to terms with the problem posed by Pakistani nuclear first use in the form of tactical nuclear weapons. The devastating response that the current nuclear doctrine posits can hardly be risked in the face of Pakistan’s vertical proliferation of nuclear warhead numbers into the three digits. 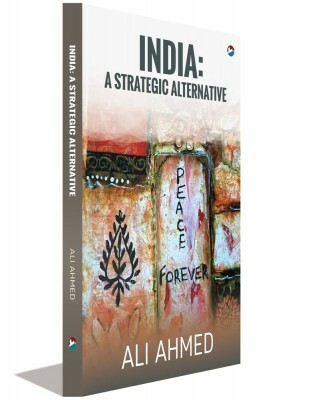 On the subconventional front, Jammu and Kashmir, which has been relatively stable for more than a decade, could slide back into turmoil, offering a fertile ground for penetration of more radical ideologies, such as those of the ISIS. Indian responses and Pakistani reactions would then flirt with the nuclear threshold. Under the circumstances, it would not do to up the military ante. The intelligence game of using proxies has an unremarked downside, in its impact on the domestic politics of both countries. Using Pakistani extremists against their own state – as Pakistan accuses India of doing – can only strengthen their hand. The more significant effect is in India’s domestic politics. 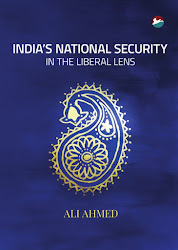 India’s Muslim minority will come under pressure as a potential conduit through which Pakistan could be expected to strike back. India’s majoritarian extremists, arguably already rampant, will use the canard of a Muslim fifth column to further raise their profile. Diplomatically, it would be difficult for India to sell a zero-tolerance for terrorism strategy with India letting off “saffron terrorists,” even as it takes Pakistan to the UN sanctions committee. India’s inability to isolate Pakistan will make it more reliant on its military and intelligence cards, accentuating the risks.